Skydiving at night is an experience not to be missed! Embrace the fear, hop in the plane, soak up the moonlight views, feel the rush of a lifetime as you free fall with your experienced instructor, scream out with joy as you fly your parachute and glide back down to land in the glow of the lit-up airport. We have a unique, fun and relaxed atmosphere to ensure you have the absolute most amazing experience possible. 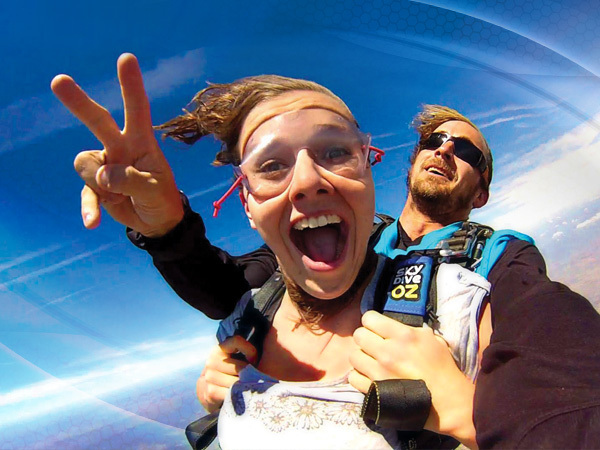 Book online by selecting a Skydive Oz experience above or simply call 1300 185 180 between 9am – 5pm.